Learning is mainly associated with school. And for many kids, school is associated with sitting at a desk, learning by rote and repetition and tedious memorization. In short, its no fun. So its no wonder that kids are so happy when summer break comes around. It is a much needed break. In the not so distant past, learning was primarily achieved through games, sport and play. And there is still considerable evidence that play and learning games for kids are the bests ways to acquire some of the skills needed inside and outside the classroom. Let’s take a look at a couple of the benefits of learning games for kids. Our Classrooms are designed around learning games for kids! Learning games for kids, including preschool age kids, which flex their cognitive and intellectual abilities are usually of the board game type or are the interactive computer game type. Games like puzzles, shape and image mapping games work out their spatial and memorization skills. Computerized math games can add a layer of fun and excitement to an otherwise bland subject. Most of these games are single player and teach the child to not only get the correct answer, but to see it through to a reward or goal. There are a number of great online games of this type that you can use at home to hone your child’s reading, math and spatial and memorization abilities. Check out some of these great learning games for kids that can keep them occupied on a rainy day. 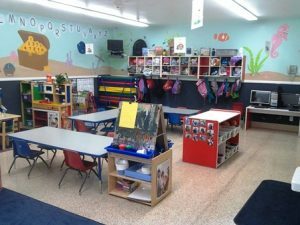 Watch Me Grow Child Development Center in North Las Vegas is dedicated to putting fun back into learning! All of our amazing, engaging and nurturing childcare programs include in their curriculum learning games for kids! Our 2016 summer camp program incorporates both indoor and outdoor learning games for kids. Come check out our summer program and all of our quality childcare programs. Contact us today to start a learning adventure! We look forward to hearing from you!